Looking for guidance in becoming a good steward of your resources? 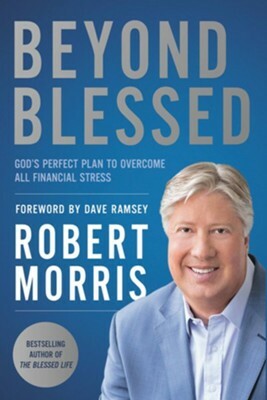 In this follow-up to The Blessed Life, Morris shares biblical principles, personal stories, and practical insights to help you overcome debt, reach your financial goals, experience the joy God intends for you, and bless others with the gifts he has given you. Robert Morris is the lead senior pastor of Gateway Church, a multicampus church in the Dallas/Fort Worth Metroplex. Since it began in 2000, the church has grown to more than 39,000 active members. His television program is aired in over 190 countries, and his radio feature, Worship & the Word with Pastor Robert, airs on radio stations across America. He serves as chancellor of The King's University and is the bestselling author of numerous books, including The Blessed Life, Truly Free, Frequency, and Beyond Blessed. Robert and his wife, Debbie, have been married thirty-eight years and are blessed with one married daughter, two married sons, and nine grandchildren. He lives in Dallas, TX. I'm the author/artist and I want to review Beyond Blessed: Essential Steps to Financial Freedom - eBook.